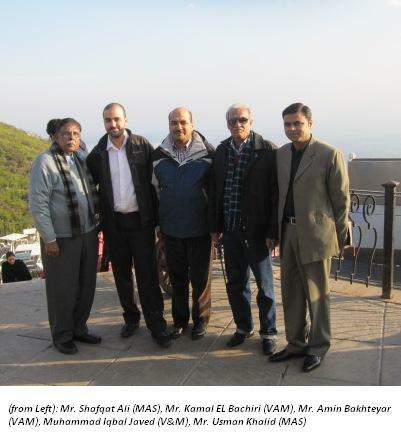 Mr.Amin Bakhteyar, Sales & Business Development Manager and Mr. Kamal El Bachiri, Marketing & Technical Support Manager visited Islamabad & Karachi in February, 2012. They had very fruitful discussions with Drilling Contractors as well as E&P companies who have their own drilling operations/rigs. The discussion was very useful and a large number of potential opportunities were identified. The delegation spent 2 days in Islamabad followed by 2 days in Karachi. VAM Drilling is a part of the Vallourec Group and comprises of V&M Tubes Drill Pipe division, OMSCO, SMF International, DPAL FZCO & Protools, Middle East.